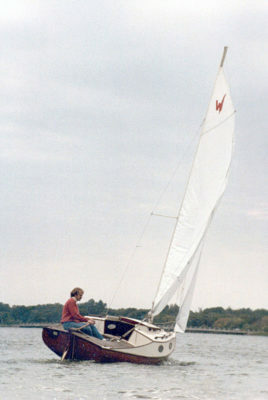 I started building boats in 1978, and only once was I able to collect enough crooks for a boat, a New York Whitehall. 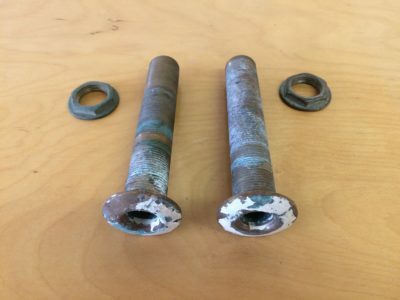 Its breasthook is apple, the six thwart knees and the bookmatched pair of quarter knees are cherry, and the transom knee is Alaskan yellow cedar. 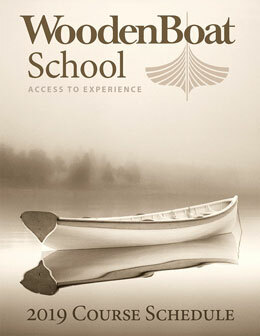 This plywood skiff's fine lines make efficient use of power, whether it’s from oars, sail, or small outboard. This micro-boat—easy to build, store, and transport, and powered by a modified electric trolling motor—will tootle protected waterways for hours. 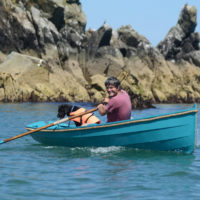 While big boats would come and go, Nic Compton’s little plywood skiff was the one boat that stayed with him through thick and thin. 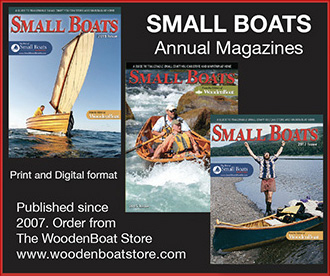 He tells the story of how a kit-built Western Skiff wove itself into the fabric of his life and family. 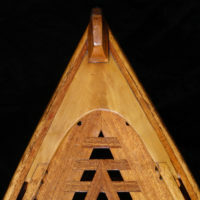 These angled pieces are important structural elements, but their potential as grace notes in a boat’s composition of curves is often overlooked. Ben Fuller shows us how they can be made both strong and graceful. 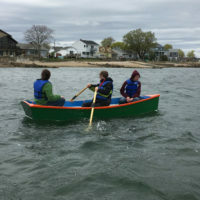 Kids at the Community Boating Center of New Bedford, Massachusetts, built three Bevin's skiffs as part of a program to teach valuable skills through boatbuilding. 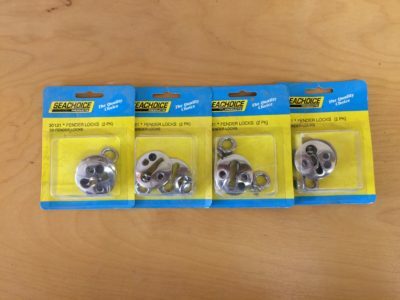 An Australian invention, these oarlocks can fit standard sockets, but they move the rotation above the socket where it will cause less wear and noise. 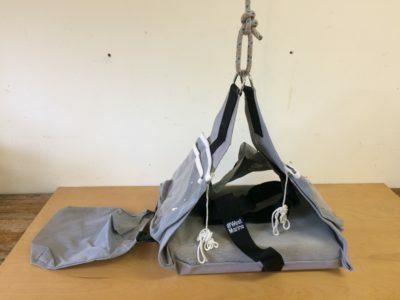 Clothes inevitably get dirty and even a bit pungent while you’re cruising and camping, but with this innovative bag you can do laundry in camp or at anchor.